A new alpha release of Mazebert TD is ready for download! This is probably the release with the most new features so far. ALL relevant game features are now implemented! Holger’s Holgar the Horrible tower and his Longbow item! Potions! You can find 12 different potions in the game and let your towers drink them for a permanent effect. 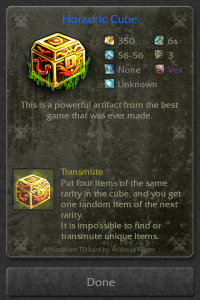 Transmute your found items to better qualities with the Horadric Cube tower! 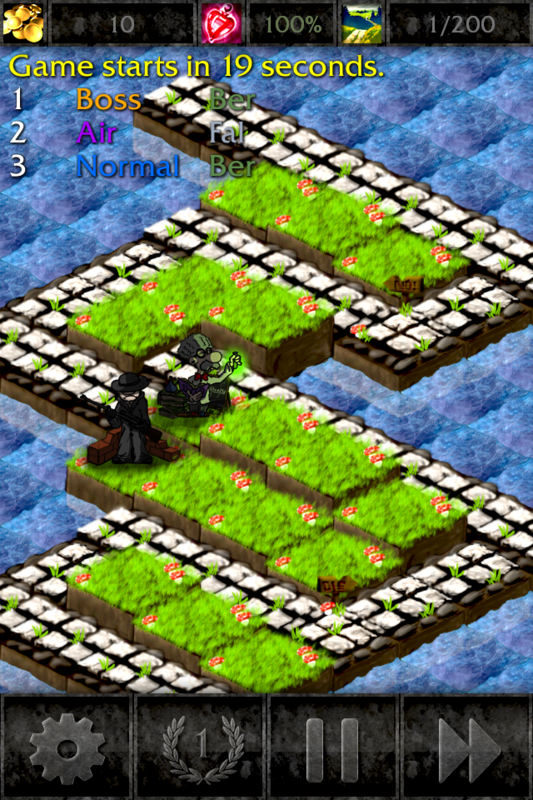 By pressing ‘S’ on your keyboard you can now create a screenshot of your game. The armor type (Vex, Fal, Ber) of upcoming waves is now displayed. More information is displayed on the tower cards: Element, Gender, Attack Type. You can find 3 new items in the game and equip your towers with them! The number of rounds to beat the game was reduced from 300 to 200. 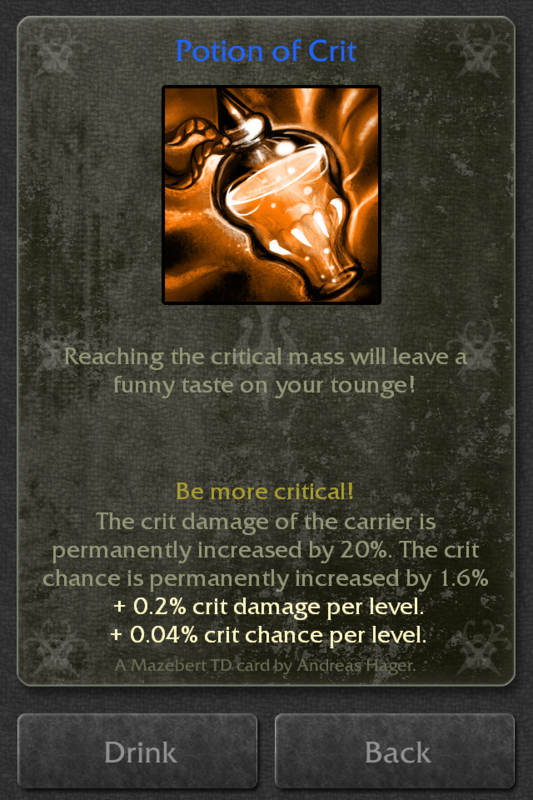 Unique cards can only drop one time during the entire game! Well, they are unique. Fixed cooldown logic of attack abilities. Towers with lower attack speed are much more attractive to use without this bug. Give it a try! Fixed the pause button bug (returning from a menu while in pause mode). 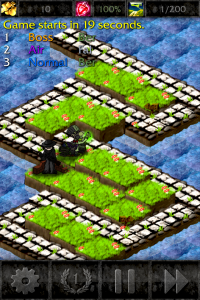 Fixed the annoying touch-up bug when sliding the inventory card in a slot. Improved balancing factors and nerfed/buffed towers according to the results of v0.2.1. Happy building! 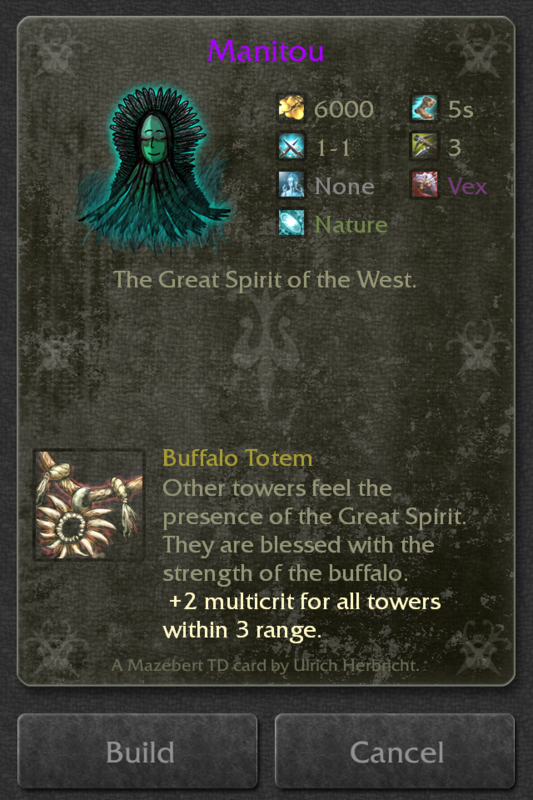 This release has 16 towers you can play with. 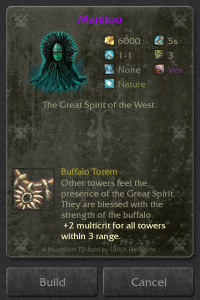 Have a look at the tower encyclopedia. When testing the latest release this morning, I switched to the task manager and the 3D context of the game got lost. Annoying! This is fixed in version 0.3.1. You can download the latest version of Mazebert TD on the downloads page. Finding only crap gear? 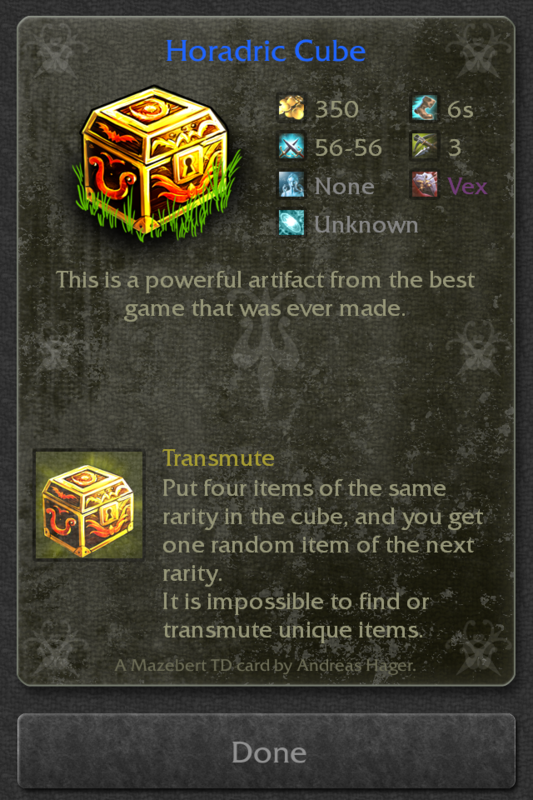 Put it in the cube like in the good old times! Uli’s new Manitou tower. Really powerful! This entry was posted in Releases on August 17, 2013 by Andy.